Dubrovnik, also known as the Pearl of the Adriatic, is just one of the destinations in Croatia, a small European country that has burst onto the tourism scene. The city is located in the southern part of Croatia on the Dalmatian coast bordering the Adriatic Sea. The city is known for its public beaches, the Arboretum Trsteno, the oldest in the world, the Sponza and Rector's palaces and the Franciscan Church and Monastery. It has also served as a filming site for the popular HBO series Game of Thrones. 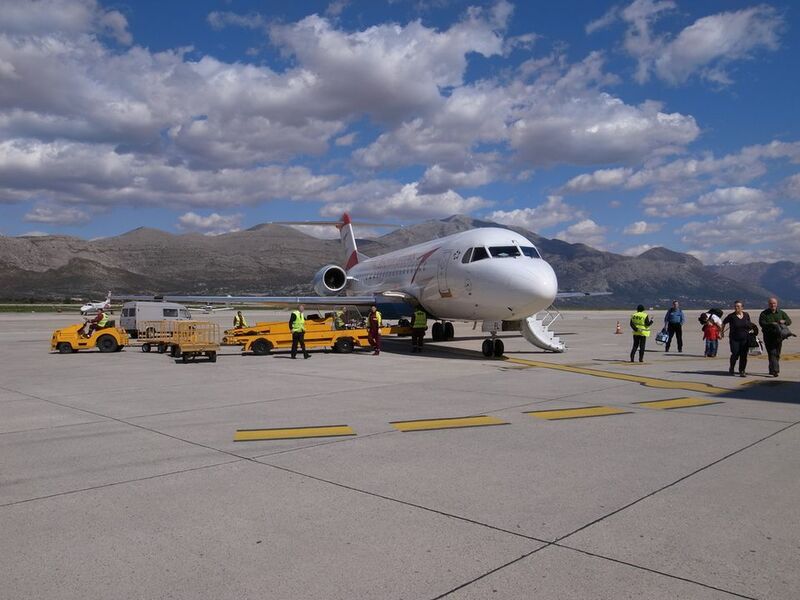 The city is served by Dubrovnik Airport, which is about 20 km (12 miles) away from Dubrovnik. The airport is served by more than 30 European and International carriers, including British Airways, Lufthansa, Finnair, Iberia, Turkish Airlines, and Croatia Airlines. There are several transportation options from the airport to the city. The airport is home to 13 car rental agencies, including Hertz and Sixt, located immediately after the baggage area. Autotrans offers a 30-minute bus ride from the airport to two downtown spots -- the Dubrovnik coach station and Žičar. There's also the public Libertas Dubrovnik bus to downtown or you can hitch a cab ride. You can also set up a taxi in advance to make sure you get the correct fare. If you are trying to go south to Serbia and Montenegro, the morning bus is supposed to stop at the airport but this is a small airport, and only domestic flights from Zagreb could possibly meet up with the bus. If you are going to the islands, you can take the bus service from the airport which drops you off at the old town gate. Coincidentally, all of the local bus services also leave from this area. Take bus 1A or 1B. Either of these two routes will take you to your choice of the ferry or bus terminal. In terms of other travel essentials, the airport has the bare necessities available. If you need cash, there are ATM machines across from the car rental booths. There's also a VIP lounge and seating areas for domestic and international flights, along with a business lounge and smoking area. Passengers have access to three cafes, a snack bar, and a restaurant, along with two duty-free stores and three shops. The check-in counters are located in Building A and open up to three hours prior to your scheduled departure. The advantage of this small airport is it is straightforward and easy to maneuver your way through. Wi-Fi and internet access are available throughout the airport.